Life is full of coincidences and dramas. The stories of movies and novels apparent superficial but life is more dramatic than any fairy tale. The Saudi Kingdom has been a witness of strange incidents and revolutions since centuries. Recently two real brothers met each other through a road accident. In case that incident had not happened, they would have remained unaware of their existence for ages. 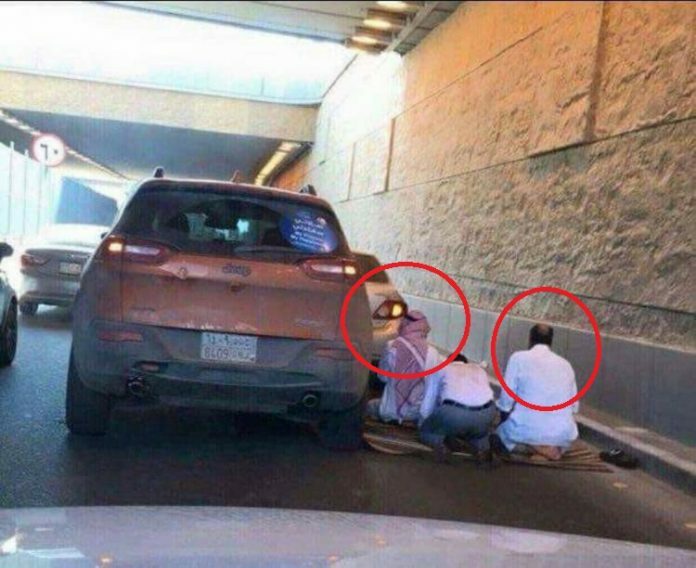 A 36-year-old man from Madinah bumped his car into another car which resulted in the loss of another car; the driver came out of his car in furry and the quarrel began. Later the police approached the place of the accident and ordered both parties to calm down and started an investigation. After analysis of legal documents of cars and personal ids of both person’s policemen told them they are brothers in real. This revelation was shocking for both men which led the elder brother to call his father in Madina and enquired about his brother who has just met him in a road accident. The father was himself shocked to hear the whole story and confirmed him that he has another son beside him. This revelation left the elder son with surprise and both brothers forgot about the accident for a while. Father told his elder son that he had married twice but later divorced his second wife who has a son with him. The father was in regular contact with his son even after divorce and he was now 29 years old. The irritating accident ended in the exposition of a precious relationship of two siblings. Both brothers forgot about the accident and hugged each other immediately. After emotional moments, they left with broken cars together to see their father together for the first time in life. Some incidents happen to change people’s lives forever, as it is said impossible has “possible” in it. Nothing is unexpected in this unpredictable world where scenarios change within moments. A single moment can change our whole life and our plannings based on hard work of years may end in a slight turn of destiny. The same incident could have changed in an unfavorable event if both brothers had considered themselves strangers for each for having different mothers. The incident teaches that a small act of ignorance and soft-heartedness can bring happiness for relationships.